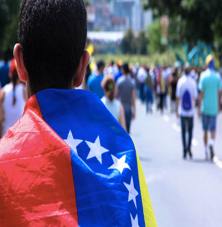 The question as to what is to be done with Venezuela has been formulated time and again in recent years by practically all of the Latin American Foreign Ministries, and by the most diverse range of think tanks, journalists and politicians, along with a heterogeneous group of others. In general, the question is typically left unanswered due to the complexity of the crisis and the atypical behaviour of most of the actors involved. At present, the question as to what to do in or with Venezuela has no clear answer.